A plays a 1-2 with B. A then plays into C who moves of mannequin, sets for B who plays into D with an angled ball. D turns plays ball off for C who has made a run in behind who crosses ball for D who has spun into box for finish. Work both sides, players work through all points of play A,B,C,D. 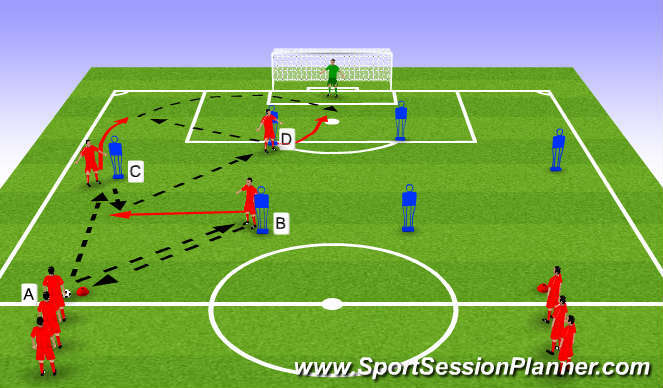 Passing , recieving, setting, Movement, Crossing , Finishing.